Instant on bulb stays bright and safe for years! Bacteria love hot running lights — so this bulb runs cool to the touch to keep you safe! 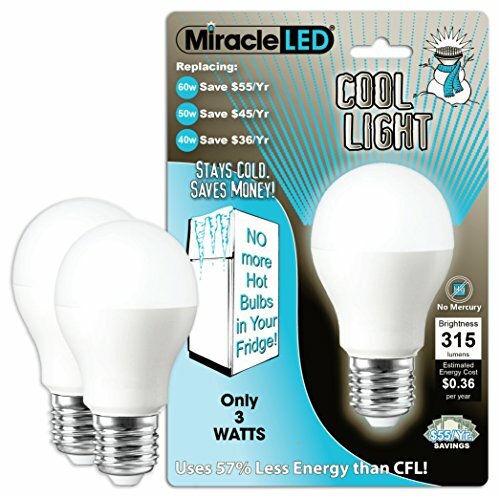 Extreme Multi-Pack Savings over other bulbs! 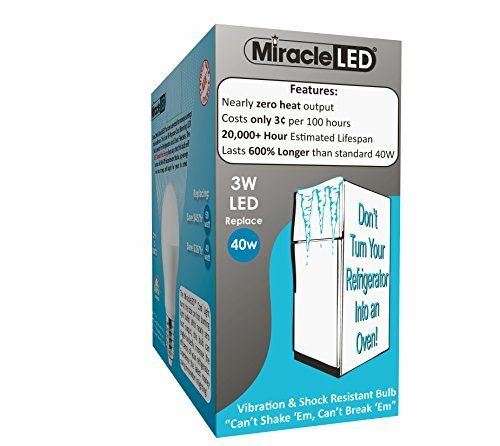 The MiracleLED Refrigerator & Freezer Bulb is an extreme energy saver. 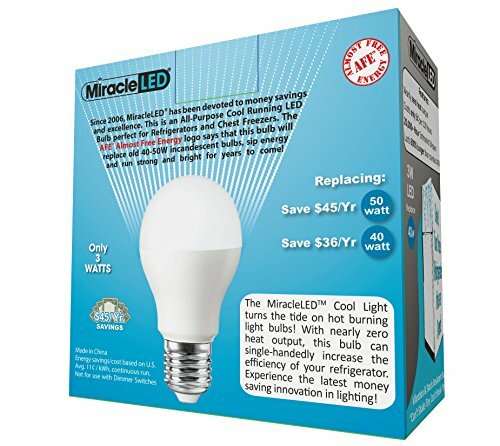 Get Huge Energy Savings replacing 40-60W bulbs with this 3W MiracleLED — Up to $55 a year by replacing just one bulb! Don’t turn your refrigerator into an oven! 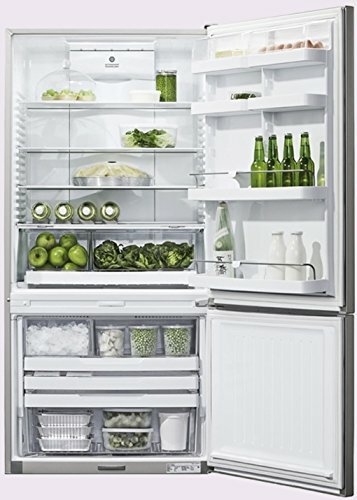 The heat produced by traditional light bulbs invites the possibility of Germs and Bacteria to multiply, actually we’ve heard of cases where the door did not shut fully and the heat spoiled all of the food and damaged the refrigerator. This breakthrough LED light has nearly zero heat output and an expected lifespan of 20,000+ Hours…You can also never have to replace another Refrigerator bulb again! 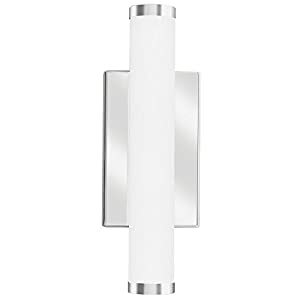 Consider MiracleLED, as some of the pioneers of LED Development, to provide protected, efficient bulbs that benefit both yourself and the environment. 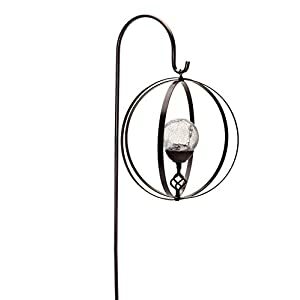 This bulb is the pinnacle of our efforts during the last 6 years and combines the classic A-Shape Edison style you’re used to with our revolutionary Almost Free Energy LED technology. 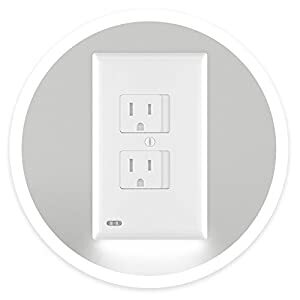 LED chip technology is the safer and more efficient choice because it’s manufactured with no Mercury or Lead, has an Instant start, is right away bright, and SAVES YOU MONEY. 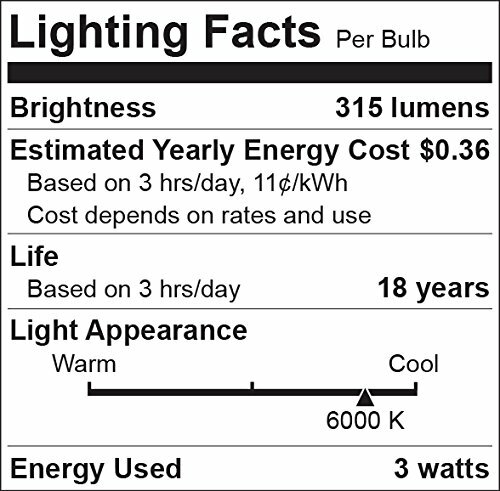 Technical Specifications: 6000 Kelvin Color Temperature; Standard E26 Medium Household Base; 20,000+ Hour Estimated Lifespan; $0.36 Estimated Annual Energy Cost. 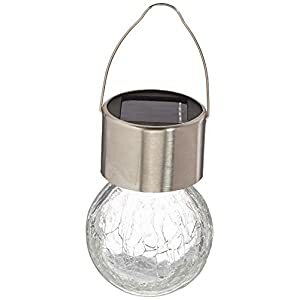 Instant on bulb stays bright and protected for years! Bacteria love hot running lights — so this bulb runs cool to the touch to keep you protected! Classic Edison style — This is how a light bulb must look! Huge Energy Saver — Replace just one 40-60W bulb and save up to $55/Yr! 1 Year Limited Warranty excluding liquid, accidental, and customer damage.